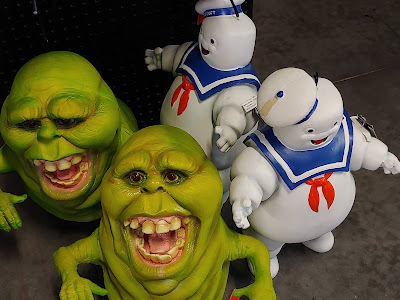 Season reviewed: This is one of my favorite seasons ever for Spirit Halloween. The scarecrows and more "rural" themes were the traditions I was really hoping for. I'm so sick of clowns and zombies - I want to get back to American folk art themes. Where's the corn dollies, hay bales and cornstalks for sale??? 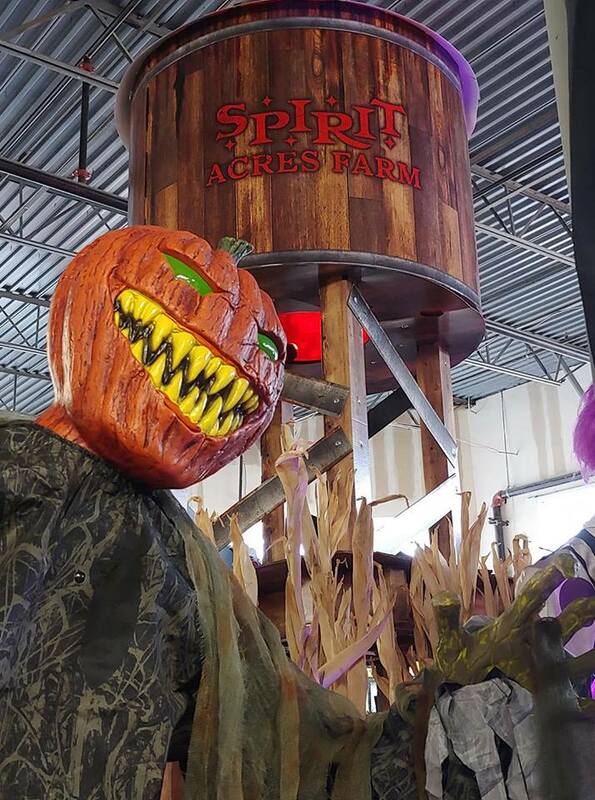 I really wanted to work on a scarecrow farm theme at my home but I walked longingly among the displays where they had wonderful real-looking corn stalks around the animatronics, but none for sale. No door hangings for rural themes. Nothing to supplement the figures. They did, however, have cute scarecrow costumes. I'd like to see this fill out next year! They have added "Hocus Pocus," "Ghostbusters" and "Nightmare Before Christmas" themed items for all the pop favorites folks. Making super tall animatronics was the ticket! These have a huge impact even if they aren't painted well, they are so tall, you feel intimidated. I'd rather see them not speak so they aren't annoying and so your mind fills in their storyline. There was also a section of Ouija-inspired decorative items I could see keeping up all year. And they put in a spooky haunted house walk-through to see animatronics and the use of fog machines and black lights (conveniently stacked up outside the house to purchase). All in all, best Spirit Halloween spread all around (costumes/decor) in at least a decade!